Digging around in the archives of the BBC Radio 4 In Our Time podcasts can yield interesting results! This program was originally aired in June 2004, under the title Renaissance Magic. "In 1461 one of the powerful Medici family’s many agents carried a mysterious manuscript into his master’s house in Florence. It purported to be the work of an ancient Egyptian priest-king and magician called Hermes Trismegistus. When Cosimo de' Medici saw the new discovery, he ordered his translations of Plato to be stopped so that work could begin on the new discovery at once." This wonderful podcast examines the fascinating role of magic during the Renaissance - in particular the enigmatic works of the person or source of knowledge known as Hermes Trismegistus. Sources on this character/entity say an astonishing variety of things. Some state that he was a deity or semi-deity, others attribute him as a contemporary of Moses. Ancient sources also equate him as a congruence of existing Gods in Antiquity, such as Hermes and the Egyptian God Thoth. 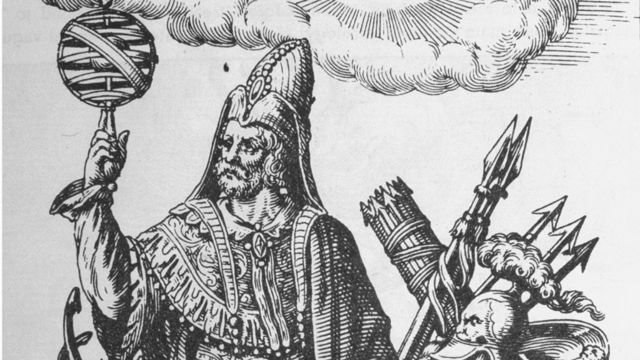 Of his most celebrated writings, an English translation of The Divine Pymander of Hermes Trismegistus can now be viewed online. The discussion of Renaissance Humanism is one which reaches into many areas - Religion, Science, Philosophy and History to name a few. Without becoming mired in definitions, I would like to provide this lovely short clip which explains the formative inspiration for Humanism in the Renaissance. In this rare excerpt from Andrew Graham-Dixon's wonderful series Renaissance(1999) we are given a wonderfully concise summation of the origin of the term Humanism, and introduced to one of the key personages involved in bringing this Humanism to Florence. Of particular note is Leonardo Bruni(1364-1444), the famed Florentine Historian and Statesman who served as Chancellor of Florence from 1410-1411 and 1427-1444. Apart from contributing translations of Plato and Aristotle, Bruni's Panegyric to The City of Florence(Laudatio florentinae urbis) was instrumental in spreading knowledge of Greek Philosophy to Renaissance political philosophers. 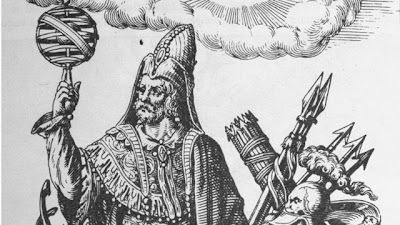 Understanding this fervent desire for knowledge from the past which the Humanists craved is essential to comprehending why men such as Cosimo de' Medici would seek texts containing the knowledge of Hermes Trismegistus. Andrew Graham-Dixon visits the tomb of Leonardo Bruni. 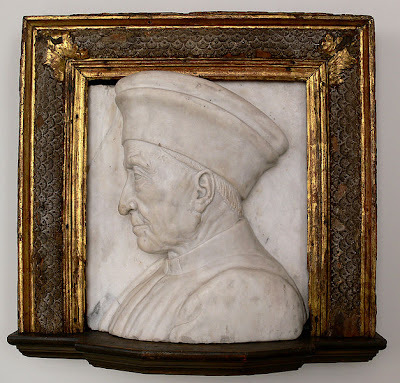 Sculptor Bernardo Rossellino depicted this great Man of Letters dressed in the robes of a Roman Senator. This podcast sums up the many threads of this concept which so intertwined the Renaissance and Antiquity. 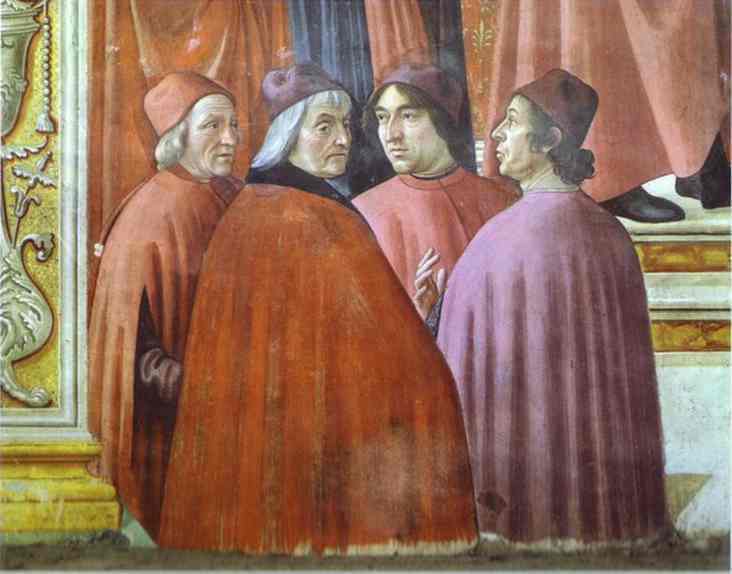 Key Renaissance scholars such as Marsilio Ficino(1433-1499) are included in the discussion. What I found most intriguing was how "magic" was seen as part of a trinity of sources of knowledge - with Renaissance scholars viewing "magic" alongside religious and scientific knowledge. The Brill's volume on Marsilio Ficino. Sell your family jewellery if you want to buy this! A physical copy of this compilation costs $147 USD, a pdf is $187! I apologise in advance - as I try very hard to stay objective in my posts - but this particular issue is quite distressing for anyone interested in accessing Historical Scholarship. The Brill's volume of Ficino essays is amazing, but like many things from Brill's, is ridiculously overpriced. When studying my pre-medical subjects, I paid much less for all of my voluminous anatomy and physiology textbooks than the cost of the cheapest edition of this collection of 20 Essays... A firm BOO to Brill's for making knowledge elitist and inaccessible. If, like me, you would really like to read it, check your local University Library! Joining Melvyn Bragg in this podcast are Peter Forshaw, Lecturer in Renaissance Philosophies at Birkbeck, University of London; Valery Rees, Renaissance historian and a translator of Marsilio Ficino’s letters; Jonathan Sawday, Professor of English Studies at the University of Strathclyde. You can listen to the podcast from the player below or download in .mp3 format. How interesting! I know little about the role/history of magic in the Renaissance, and this was quite intriguing to learn. I think it's also interesting to see that there is a mosaic of Hermes Trismegistus in the Siena Cathedral, which backs up what you said about how magic was viewed alongside religion. By the way, I completely understand your rant. I have a lot of issues with the high prices of art textbooks and publications. I'm especially bothered by the unnecessarily high prices of art survey texts like "Gardner's Art Through the Ages" and Marilyn Stokstad's "Art History." It's completely ridiculous. Cheers M! Is that the same Marilyn Stokstad text that got her Ghiberti Doors mixed up?! You would expect such an expensive work to be more thoroughly researched! The Brill's recent volume on depictions of Aphrodite also contains a poorly researched oversight about a certain plant in a Botticelli :) They'll still charge you $216 USD for access to that incorrect information though! ha! Anyway, rants aside - I've updated the post to include the hugely relevant Medici Chapel of The Magi. It would usually be worthy of its own post, but paradoxplace.com have done such a thorough job already I included their link instead. I can't wait to see this work up close in October! Very interesting post! Even in ancient times, Egyptian "magic" was seen as something special so it makes sense that it would be seen as such in the Renaissance. That detail from the Magi Chapel is simply gorgeous. Edited 22 September 2010 to include info about BBC tracking of relevant blog posts - good tip for bloggers when featuring discussion of BBC Radio content! An extract from The Divine Pymander, translated by the Editors of the Shrine of Wisdom, is available on www.shrineofwisdom.org.uk. Cheers for the extra reference Julie!